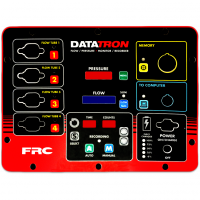 Embossed Label For All Your Needs | Data Graphics Inc. Embossed Label For All Your Needs | Data Graphics Inc.
Are you looking for an Embossed label manufacturer with over 30 years of experience in the custom label manufacturing industry? 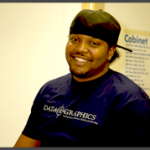 Look no further than Data Graphics Inc.
Embossing is the process of shaping malleable material using custom made dies, heat, and pressure to create a button or key that is raised upon the material. The raised part of the label is three-dimensional giving the look of the overlay a functional and creative design. Often, companies will use embossed labels (or embossed overlays) for decorative purposes, Braille ADA compliant requirements or to add a functional, actuating button for operating a piece of equipment. These embossed overlays or keypads can be found in many industries, from your household appliances, computers, electronics, and medical equipment. Using heat and pressure, DG’s state of the art machines can emboss the button or key shape of your choice in a number of different materials. With thirty years in the industrial printing industry, Data Graphics Inc. has the expertise and knowledge to create your perfectembossed label. Our Sales Engineers are trained to help you create your embossed overlay to specification. 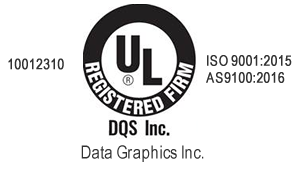 The telecommunications,aerospace, medical, military, and manufacturing industries have trusted us with making their UID’s, Nameplates, overlays, and die cut products because of the quality and care Data Graphics provides. Call us today or get a quote and we will help you create your perfect embossed overlay.